When you choose the right cannabis strains for your outdoor crop, it will improve your yield dramatically. All the preparation and research, as well as the care that you take with your cannabis plants, outweigh the fact and the importance of selecting the cannabis strains that have proven female genetics. We have done all the research for you to find the top female cannabis strains that you can plant outside and get a strong yield. Kushberry is one such strain that is packed with strong flavor. It is a combination of Oregon Blueberry and OG Kush, which are both known for their amazing smoke, lemon undertones, berry taste and intense flavor. 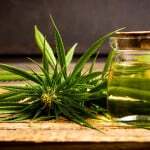 As imagined, we have to recommend Kushberry to individuals who are looking for these unique features. It is one of the cannabis strains with strong genetics and a high level of potency. If you are going to grow this particular strain, expect it to reach heights of approximately two and a half meters and producing many side branches. This female strain is easy to grow. It is suited for both new smokers and experienced users and growers. The yield will be around 500 grams per plant, if grown outdoors. Harvesting is usually in the month of October. One of the female cannabis strains that made our list is Northern Lights XL, which is a mix of Skunk, Afghani and Ice strains. This has been around since the 1970s. However, don’t let the more than thirty year age deceive you. This strain has the power, strength and energy as much as its younger equivalent strains. When this strain is grown on the outside, its height is about 2 meters. The yield produced is more than 100 grams per plant, which is a smaller amount than other cannabis strains, but enough to be worthwhile. It is easy to grow and does not need as much maintenance. Harvest is usually in the month of October. The Royal Queen Seeds is a company that sells female cannabis seeds and strains, one of which is known as Critical. This one is an excellent combination of sativa and indica genetics, which brings together the best of both worlds when it comes to the Afghani and Skunk strains. In this case, Critical has two thirds indica dominance. It provides a mild high to the user. It produces a large yield and grows to about 2.2 meters in height. Its yield is about 650 gram per cannabis plant. The harvest time is around the month of September. Dutch Passion is also one of the top cannabis strains that also made our list. It is also known as “Frisian Dew.” It is a combination of Purple Star and Super Skunk. When you smoke this strain, it gives you an uplifting and relaxing effect. 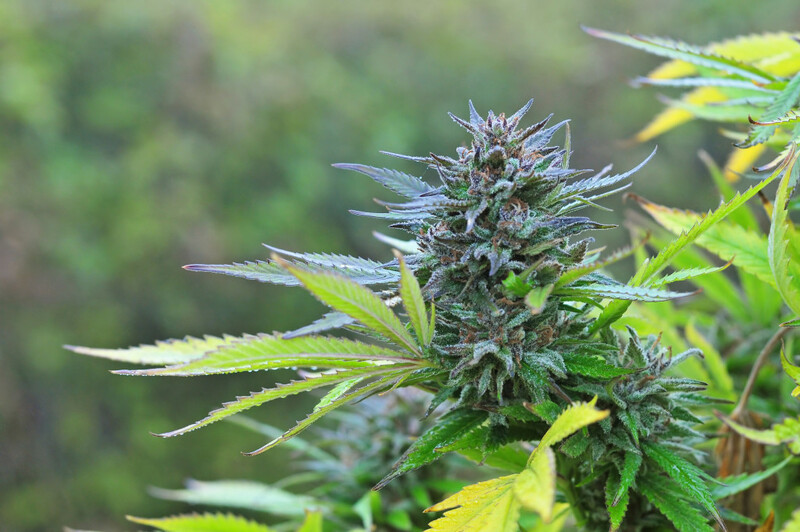 It is one of the best cannabis strains to grow outdoors. It can be as tall as four meters and as wide as 3.5 meters. The yield is about 2 kilograms per plant, which is a large harvest. The harvest time is about late September to early October. Greenhouse Seeds produces one of the best cannabis strains known as “The Church.” It produces a high yield and has a high level of potency as it comes from a combination of Northern Lights, Super Skunk and Swiss Sativa. When grown outdoors, the plants are bushy, dominating its surroundings. The yield is about 900 grams per plant and is harvested by the end of the month of September. Cream Caramel is one of the most flavorful cannabis strains on the market. It has a high potency level. Harvesting time is around the middle of September. The yield is more than 550 gram per plant. It gives the user a relaxing feeling and great to smoke after a long and difficult day.